If you have an audio interface with more two or more inputs you may want to record those inputs at the same time in SONAR. This is very easy to do, here’s how. In this example we will record four tracks at the same time but this technique will work on as many tracks as you would like to record. The techniques used here will work on SONAR 8 or higher and SONAR Home Studio 7. 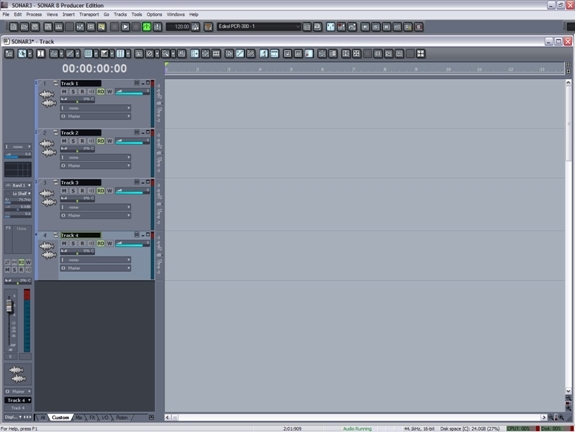 The first step is to insert the audio tracks that you would like to record to. If you are going to do this more than once you might want to make a Track template out of these steps so you do not have to repeat them every time. You can right click in a blank area of the Track View and select Insert Multiple Tracks or you can select Multiple Tracks from the insert menu. Now select the number of tracks you wish to insert. In this example we want to record to four tracks so we will input 4 as the desired number. 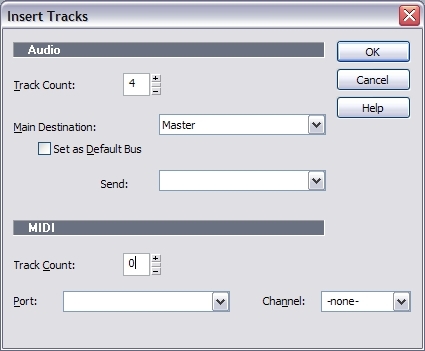 Fig 2: Input the number of tracks you would like to insert. 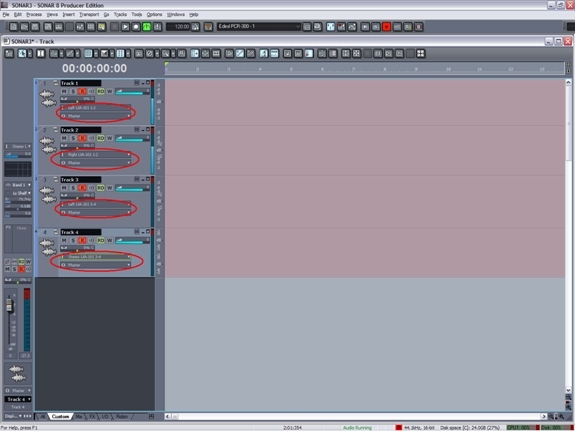 Now press OK and the audio tracks will be inserted into your project. If you started with a blank file the project will now look like the picture below. Fig 3: A project with 4 tracks inserted. Now select the correct inputs for each of the tracks. To keep thinks simple set track 1 to input 1 on your audio interface, track 2 to input 2 and so on. 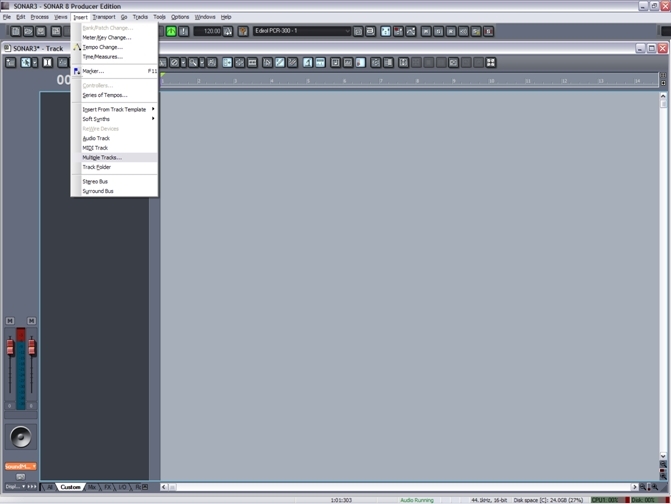 Now arm your tracks by pressing the R button on each track. Press record and you are all set.